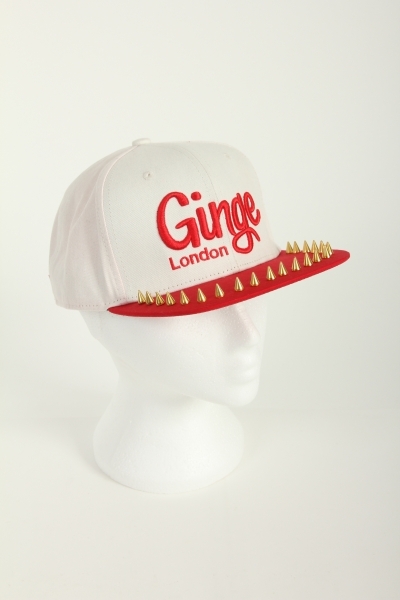 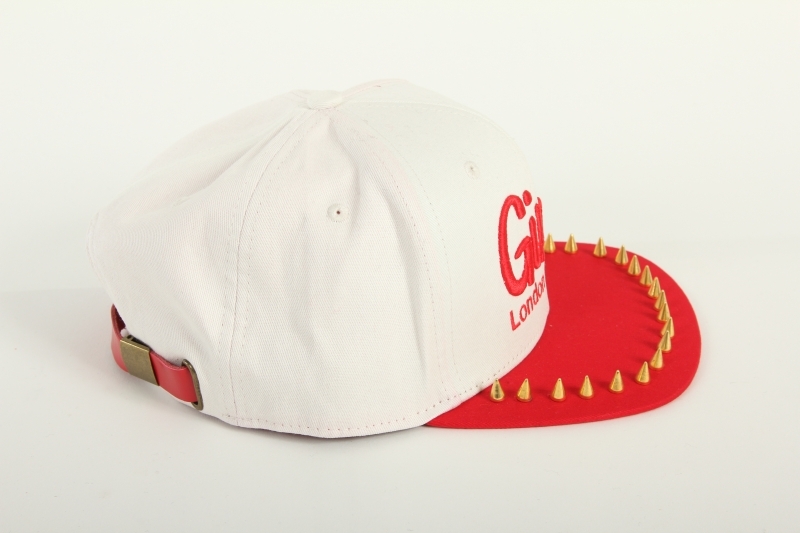 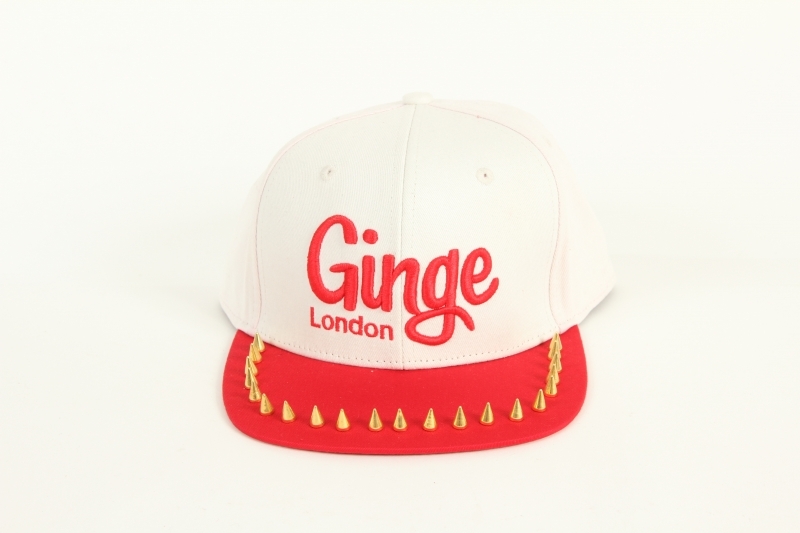 Ginge London White snapback with Red studded peak. 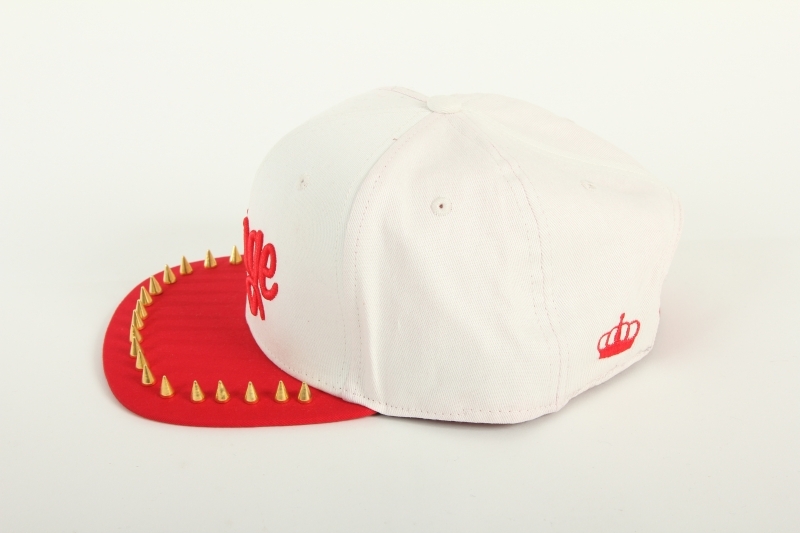 Handmade, 100% Cotton. 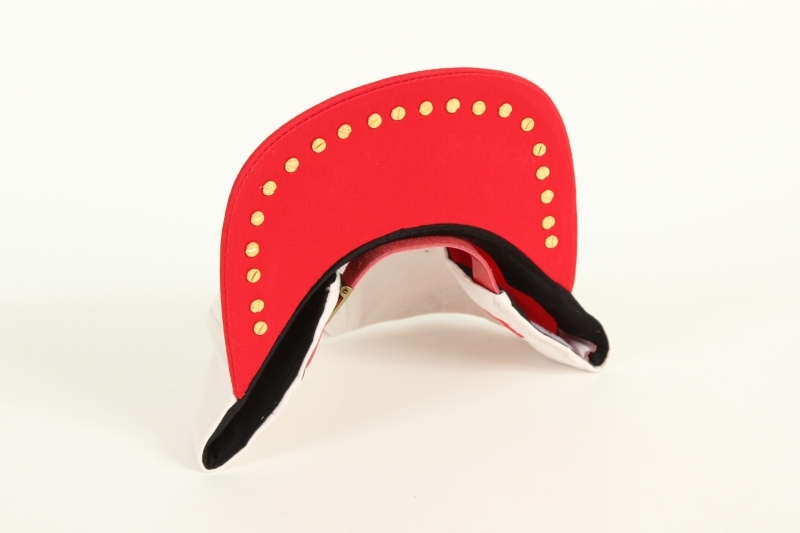 Really love the design and a good quality product!